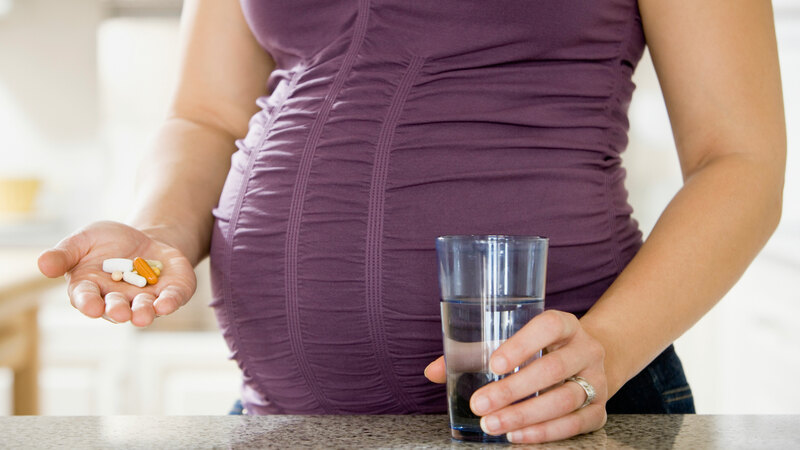 Thyroid health is vital during pregnancy, but a new report found that mothers exposed to a toxin found in water, milk and other chemicals can be harmful during gestation. The study, which was presented at the Society for Endocrinology annual conference, found that when mothers are exposed to higher levels of the environmental pollutant perchlorate, it lowered absorption of iodine from the blood into the thyroid. That’s where it is needed to make T4, the hormone vital for Baby’s brain development. And that’s why researchers say to limit exposure to it. But can you protect yourself and your baby from this chemical? Is it really harmful? Get your iodine. Knight said pregnant women must make sure they get adequate iodine in their diets. “The impact of perchlorate exposure is worse in presence of iodine deficiency,” she noted. The government is on it — sorta. The topic has certainly turned up in the news and between lawmakers, but groups such as the Environmental Defense Fund say more needs to be done to understand its effects on people — and protect them from it. It’s everywhere. While perchlorate occurs naturally, it’s also made in manufacturing processes, the Environmental Protection Agency reports. Here’s how vast it is: It is used in everything from matches and flares to fertilizers and rocket fuel. As a result, it can get into milk and water — and that’s where exposure may be a problem. The recent study did get the topic back into the headlines, so hopefully this means we’ll get more information that can keep us and our kiddos safe.